We all know situations where you want to prevent the client from closing the ticket. This module is the solution for it! It is possible to select tickets which should not get closed by the client. This is useful when you create a ticket and you want ensure that he dont just close the ticket and your support team forget about it (e.g. 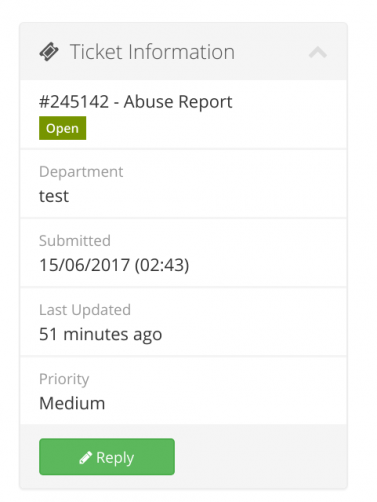 abuse reports). When you mark a ticket as non-closeable, the close button will be removed from the client supportticket page. If the customer tries to spoof the URL to get the ticket closed, this will of course also not work. It is impossible for the customer to close this ticket. No template changes are required! The module is compatible with PHP 5, PHP 7 and WHMCS v6 and v7.